Who has heard of Citizens United? This was a Supreme Court case from 2010 that had a huge impact on how political campaigns could be financed. In 2012, Stephen Colbert created his own Super PAC, and he actually got it. He then announced that he would be running for President (of South Carolina). Because of the way the laws are written, he cannot be in charge of the money in that Super PAC. This is one of the ads that actually ran in South Carolina. He consulted with an "advisor" about how to spend his money. Finally, he decided to close his Super PAC and consulted a lawyer on how to keep his money. If you'd like to see more, this is the website he ran for his campaign. In 2012, Stephen Colbert created his own Super PAC, and he actually got it. He then announced that he would be running for President (of South Carolina). He Because of the way the laws are written, he cannot be in charge of the money in that Super PAC. This is one of the ads that actually ran in South Carolina. He consulted with an "advisor" about how to spend his money. Finally, he decided to close his Super PAC and consulted a lawyer on how to keep his money. 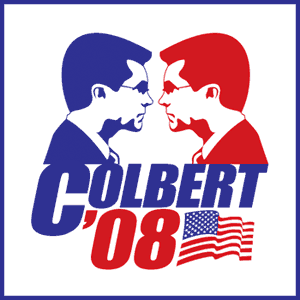 In 2012, Stephen Colbert announced that he would be running for President (of South Carolina). He created his own Super PAC to finance his "run for President", and he actually got it. Because of the way the laws are written, he cannot be in charge of the money in that Super PAC. This is one of the ads that actually ran in South Carolina. He consulted with an "advisor" about how to spend his money. Finally, he decided to close his Super PAC and consulted a lawyer on how to keep his money. In 2012, Stephen Colbert announced that he would be running for President. He created his own Super PAC to finance his "run for President", and he actually got it. Because of the way the laws are written, he cannot be in charge of the money in that Super PAC. This is one of the ads that actually ran in South Carolina. He consulted with an "advisor" about how to spend his money. Finally, he decided to close his Super PAC and consulted a lawyer on how to keep his money. In 2012, Stephen Colbert announced that he would be running for President. He created his own Super PAC to finance his "run for President", and he actually got it. Because of the way the laws are written, he cannot be in charge of the money in that Super PAC. This is one of the ads that actually ran in South Carolina. In 2012, Stephen Colbert announced that he would be running for President. Who has heard of Citizens United? This was a Supreme Court case from 2010 that had a huge impact on how political campaigns could be financed.. If you would like to present at FYRC, proposals are due here by 12:00 PM March 24. Due by 11:59 PM April 13, Research Paper.